3M Precision-Shaped Grain (PSG) maintains super-sharp points that cut exceptionally fast with less pressure. PSG runs cooler, reducing metal discoloration/oxidation and the chance of heat related stress cracks. Disc life is significantly longer, completing more parts per disc and requiring fewer disc changes. Roloc quick attachment system provides for easy disc changes between grades or applications. Stiff fiber backing and a strong resin bond provide durability and tear-resistance for heavyweight applications such as high-pressure weld grinding and can be used wet or dry. 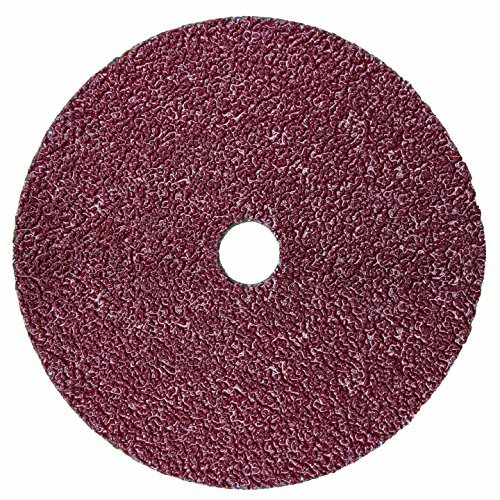 Mirka MR-6 Finishing Sander with 5mm Orbit, 6"